and Ofsted reflect this in their expectations that schools must "promote preparation for, and an appreciation of life in modern Britain". Exploring religious and different social beliefs, in a peaceful and non-violent way and learning how to show respect for those with different ideas, cultures and traditions, is a valuable part of growing up and something we encourage. We endeavour to protect children from extremist and violent views that are contrary to these aims. As part of our focus on democracy we have been voting on our favourite fruits and food. We have made graphs using the 2Count program on the computer to record our results as well as voting to select our favourite snack time fruit. We also discussed what our current role-play area was to be and the result was, 'Disneyland'. In the Autumn term we worked together to devise a set of Class rules and we have been reminding each other what they are to try and not break them. 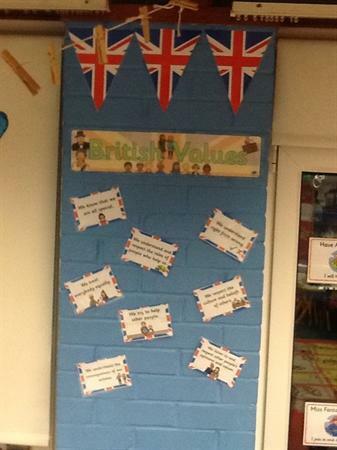 In Reception class we have been looking at British values in our topic and circle time. As a class we talk about how and why we should treat others equally and with respect. We discuss in groups about decision making and understanding what is right and what is wrong. 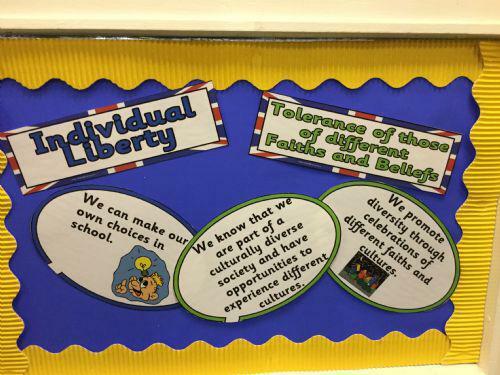 In RE, we enjoy learning about other cultures and beliefs and learning to respect people's differences. Most of all we try our best to help one another at all times. 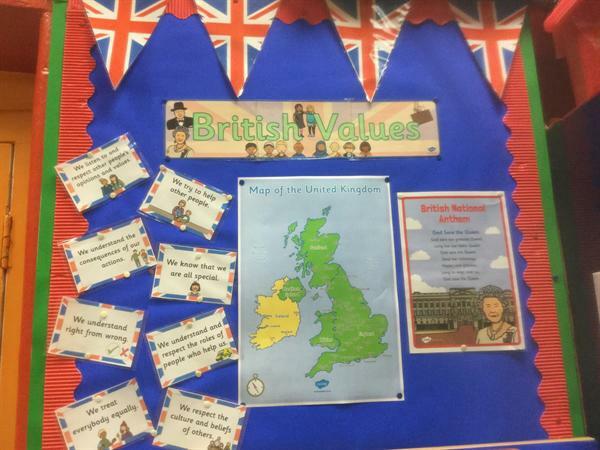 In year 2 we have been learning all about British Values. We have been comparing British life to that of other countries. We have been learning about the consequences of our actions and how to be a good citizen. 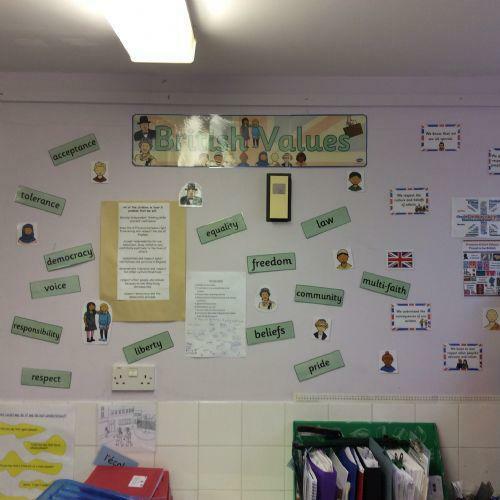 In year 4 British Values runs through the core of our learning. 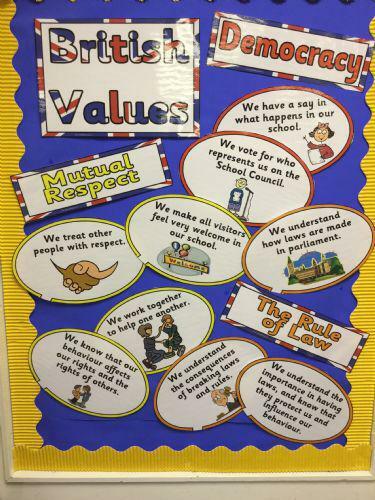 Rights, responsibilities and respect are very important to us. We enjoy discussing how our society is different to those in the past and those in other countries too. In yr 5 we have been comparing British life with life in Ghana. We have been working on fair trade. Through this topic, we have been looking at mutual respect and democracy.